White Peppermint Smoothie is what we are sipping on this week. 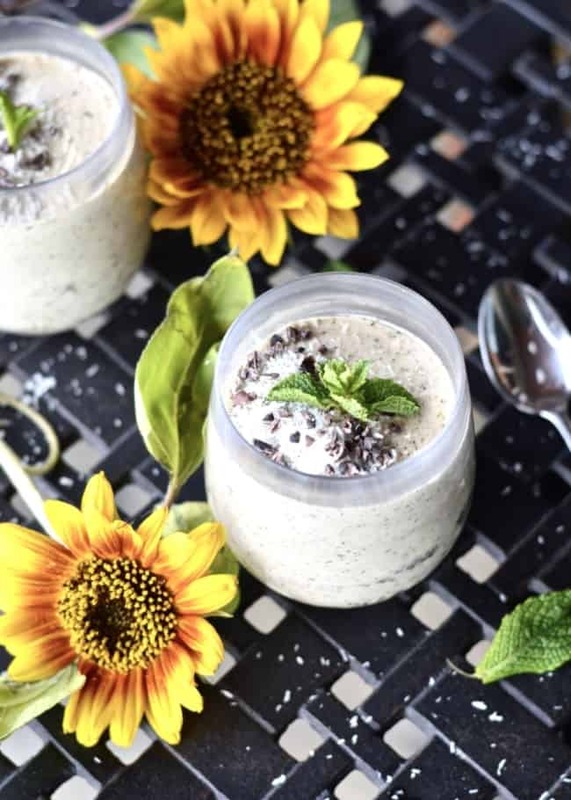 This refreshing mint smoothie makes the perfect breakfast, snack or dessert. This smoothie is Whole30, Paleo, Vegan, GAPS and SCD safe. 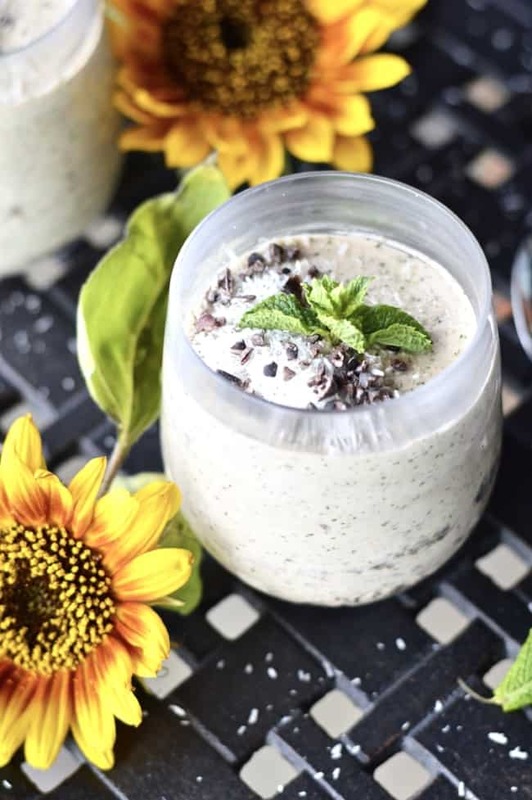 Plus, white peppermint smoothie is so easy to make! Hi from Florida friends! Yes I am still busy reading on the beach. But that doesn’t mean I would neglect you while I am on vacation. That just wouldn’t be nice of me now would it? So, while I am busy sipping on a Moscow Mule by the ocean you guys get to enjoy White Peppermint Smoothies. Yep, that’s what’s on the menu this week. This recipe has been sitting in the archives for a long, long time. Almost a year actually. I was going through my recipe photos the other day and realized that I never actually shared this one with you. Oops! 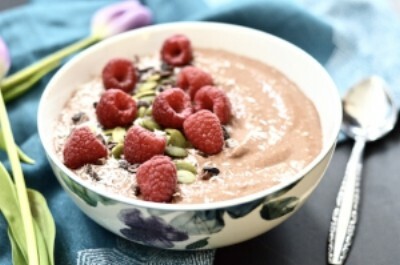 At the time I made it I had recently posted some other smoothie recipes like my Chocolate Raspberry Bliss Smoothie Bowl and Get Your Greens Mint Smoothie Bowl and wanted to give you guys some variety. So this one has been collecting dust for quite some time which is a shame because it is actually really tasty! If only I had a blender on this trip I would make this smoothie for myself right now. Because nothing is refreshing quite like a cold minty smoothie. Right? So, what have I been up to in Florida? Not a lot. Beach runs and workouts, reading a lot of good books, soaking up as much vitamin D as I can and doing a little shopping. Oh, and eating a lot of good food! There are so many food items I have tried here that I can’t get at home that I have fallen in love with. Foods like: Terra Plantain Chips, Siete Lime Chips, Simple Mills Crackers, Epic Pork Rinds and Rx Bars. Seriously why aren’t these things available in Canada? It’s just not fair. Maybe I should open a store that sells them? What do you think? Anyone interested? I have also been watching a lot of basketball (of course). In case you didn’t know there is a little thing called March Madness going on right now. Which, besides Christmas, is basically my favourite time of year. I personally love North Carolina but I always like a good underdog success story too so I would be more than happy if Gonzaga won. As much as I love North Carolina, they have had their fair share of tournament wins in the past. Who are you cheering for? Are you even watching? But let’s talk about this smoothie shall we? White Peppermint Smoothies. I ate/drank these so much last summer! Breakfast, post-workout or even as a snack or treat. No matter what time of day, this smoothie can hit the spot. It’s slightly sweet with the refreshing addition of mint. 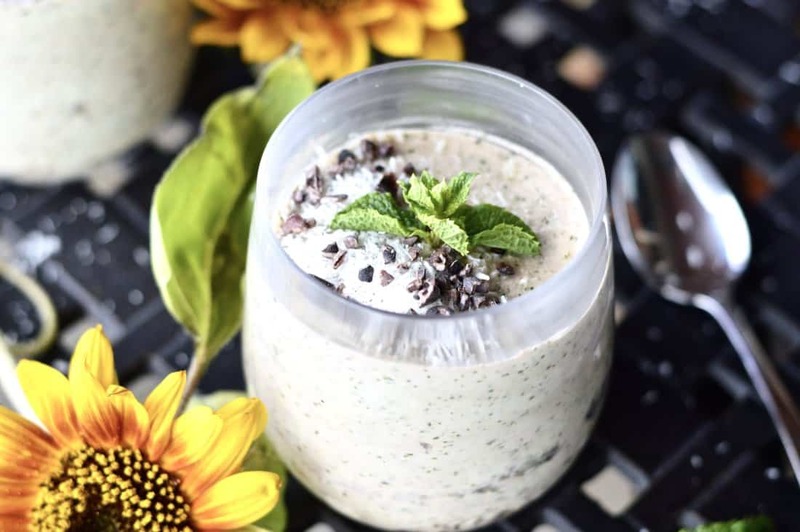 And there are no added sweeteners in this one so even if you are on a Whole 30, or just trying to limit your sugar intake you can still enjoy this smoothie. 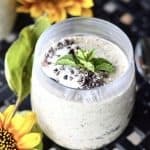 In fact, this White Peppermint Smoothie is compatible with almost every special diet out there: paleo, GAPS, Whole 30, SCD, vegan, gluten free and dairy free. Please let me know what you think if you try it! You all know I love getting your feedback!